You can help extend your roof’s lifespan with regular maintenance. Both new and well-seasoned roofs can benefit from these steps. Take care of these tasks, and you’ll be less likely to have to spend on a new roof sooner than you have to. Leaves, sticks, and all kinds of debris make their home on your roof during fall and winter. Don’t let them get comfortable. Take advantage of those warmer, sunny days to get up on a ladder while you clear out the gutters and valleys. Always have someone else hold the bottom of the ladder while you climb. Fix all the shingle damage you find right away – or simply replace entire shingles. Tighten your gutter brackets and ensure that your flashing is secure. Note: if you have peeling, curled up, or lifted shingles on your roof in several places, you may need a new roof. Schedule a professional roof estimate to assess the condition of your roof. Use a hand sprayer to apply moss remover and a cleaning solution to mossy and moldy spots on any shingles that need it. Pay special attention to any directions on the cleaner, particularly how long you need to let the cleaner sit on the shingles. After it’s finished, use a soft broom or brush to gently remove the moss or mold. Never use a power washer or hard-bristled brush when you clean your roof. Rough cleaning strips the UV-resistant granules off the shingles. Well-cleaned gutters make up the foundation of roof maintenance. Remove all leaves and debris from all your gutters and downspouts. If you need to, use a soft-bristled brush to sweep away excess dirt. After you’ve removed as much as you can, run water through the gutters with a hose to flush out any remaining dirt and debris. After they dry, inspect the gutters for degraded caulk, peeled paint, rotten soffits or fascia, holes, and cracks. If you haven’t already, tighten loose brackets and gutter sections, replacing any missing hardware. Leaky gutters make wood rot incredibly quickly. Don’t delay repairs. Note: you can protect your hands from rough roof granules and harsh chemical build up in the gutters by using protective gloves. You’re almost done with your roof maintenance. Now, let’s take care of the chimneys, vents, and skylights. Not all homes have all these features, so feel free to skip past anything that doesn’t apply. Now, wash the vents and skylights with a mild, soapy solution and repair them if needed. While you’re on the roof, use extreme caution. Many homeowners use a harness to secure themselves to the chimney in case they slip. Having a professional repair or replace your roof can be expensive. But you can extend the life of your roof by by doing regular maintenance. Help it last as long as it’s designed to. Does your roof need repair or replacement? Get your free estimate today! Just click here to schedule an inspection. Does Your Shingle Roof Need Replacement? Asphalt composite shingle roofs are the most affordable, popular roofing material on the market by far. Because of their affordability and ease of installation, most homeowners and builders choose composite roof tiles. The array of style options gets larger every year. Trust Quality Roofing Company’s shingle roof installation to protect your home. The style you choose is only limited by your price range. Choose cost-effective 3-tab shingles, or increase your budget for attractive, longer-lasting architectural shingles. Our residential roofing professionals install both in around the same amount of time. When we meet with you, we’ll discuss your options in greater detail and go over colors and styles together. Choosing your new roof can be fun! It’s a chance to upgrade the look of your home. If installed properly, excellent shingle roofing should last between 15 and 20 years. 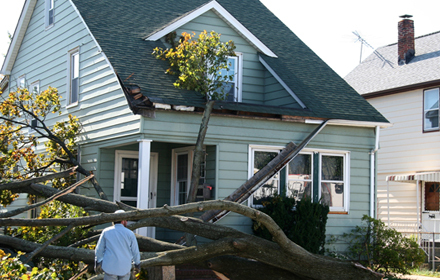 Of course, wind and hail damage are unpredictable, and they may shorten the roof’s useful life. 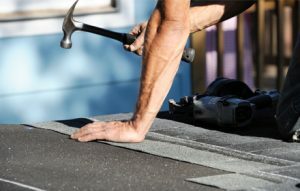 Prepare your roof to last a long time by choosing the best installer. With so many choices, how can you choose the best shingle roof installation contractor? 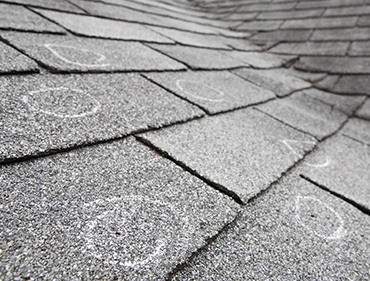 Hail can damage a shingle roof – often without revealing damage when you inspect it after the storm. Large or sharp hail can poke tiny holes through the shingles. Over time, water seeps through the holes and your attic develops a leak. Every homeowner should to take care of hail damage right away, before water causes more damage. After a hailstorm, call us. 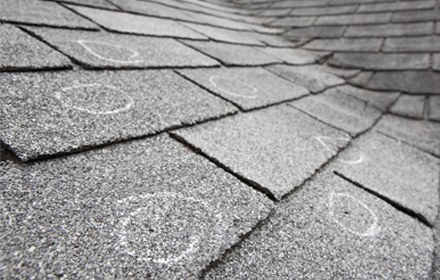 We know what to look for to determine if your roof needs repair from hail damage. The inspection is free, and you’ll be able to call your homeowner’s insurance company to report the damage without delay. Your insurer will more than likely send their own inspector to confirm our assessment. While you’re waiting for their inspector, feel free to schedule a repair with us. We’ll complete your repair or replacement after your insurer gives you the go-ahead. Hail damage isn’t fun. But you’ll be glad you took care of it quickly. Call Quality Roofing and we’ll make your roof good as new. If you need shingle roof repair or replacement, call Quality today. Our dependable estimators will schedule a convenient time to visit your home. Roofing services go unnoticed – until you need them. We’re here for you when you feel the first drip from your ceiling. Or when you notice loose shingles. Hopefully, you realize you need a new roof before any leaks develop. There’s no better time to find quality roofing services than today. Because your roof is the home’s first line of defense against the elements, you need a dependable roofing services company. And that’s Quality Roofing Company. 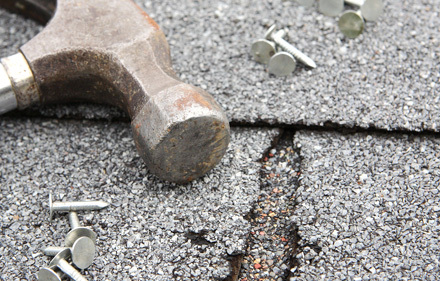 We provide roofing repairs and installation in the Nashville area, as well as Mt. Juliet. Any roofing company can say they do great work. But proof is better than pride. We prefer to give you the best roof we can, and let the results speak for themselves. The fact is, we provide professional, quality, on-time roofing services that you can rely on. Looking for roofing services? Call us today. Our experienced estimators will assess your roof when it’s convenient for you. Ready For a New or Repaired Roof? Metal roofs are gaining popularity, even on older homes. Why are they trending up? What are some of the metal roof benefits? Most importantly, what do you need to look for when you choose metal roof installers in Nashville? If your installers do the job right, your new metal roof should last from 30 all the way up to 50 years. True, the material costs more at installation. But you’ll save money over its entire life. Imagine never having to replace your roof again. 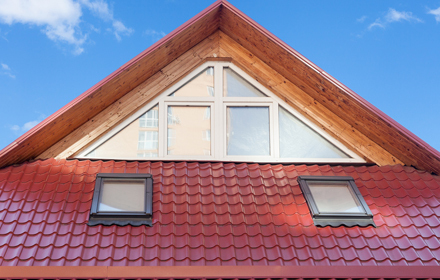 Your quality metal roof will likely keep its integrity longer than you live in the house. 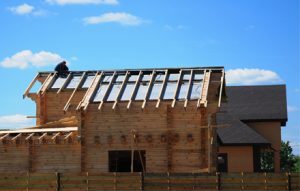 In addition, installation is usually faster than an equivalent shingle roof. You’ll save money on labor costs. The educated home buyer is aware that metal roofs last longer. If you sell, you’ll likely get a better offer on your home than you would with another type of roofing material. Let’s say you don’t plan to sell. How will you get value back? 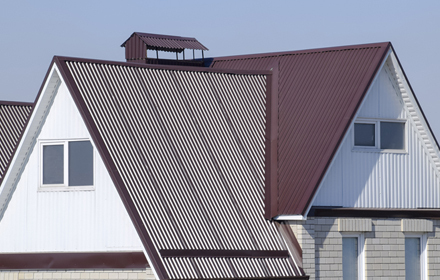 Your metal roof’s value will prove itself in regular use. Metal roofs reflect the sun’s heat better than shingles, lowering your summer utility costs. You’ll even be able to collect rain from the roof to water your garden without getting any of the corrosive chemicals that get into the water off shingle roofs. You deserve a roof you can depend on. Licensed metal roof installers give you guaranteed quality. Our certified installers will make sure all seams are perfectly sealed and all cuts are straight and clean. We’ll handle the metal carefully in order to maintain its rust-protectant coating. 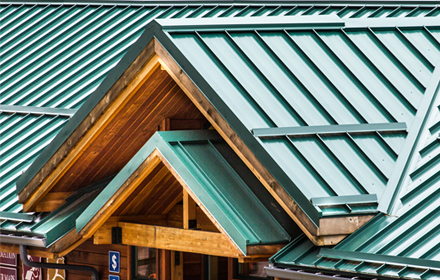 You’ll get a metal roof that looks perfect, delivers performance, and lasts for decades. 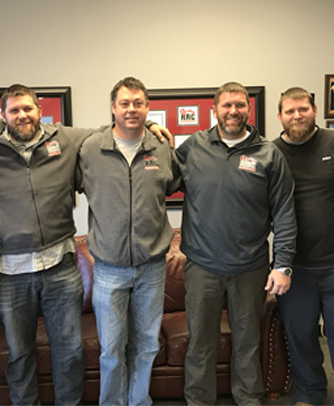 Why Choose Quality Roofing Company? Planning to upgrade your roof? Call today. We’ll set up a convenient time to meet with you and assess your roof. Roof repairs are a pain. Even though you need a roof that doesn’t leak, repairs are still an unexpected expense. We get it. Because we’re homeowners ourselves, we make your roof repair go as smoothly as possible. We’ll arrive for the estimate at a convenient time for you, present you with a free estimate, and let you know just what your roof needs. No matter what, you’ll have your choice of all our different roofing repair options. And when work begins, we’ll try to keep your property clean. Quality RCC provides roof repairs in Nashville as well as Mt. Juliet, TN. If you’re located near us, we can give you the roof repair you need at an affordable price. Trusted Roofing Company in Quality Roofing Co.
We treat your home better than our own homes. We’ll carefully protect your landscaping and do the work the right way. We show you all the options, so you can save money and get the materials that appeal to you most. We’ll deal with you in a professional, courteous manner. We’re trained with all types of roofing, licensed, bonded, and insured. Call today for your free roof repair estimate. We’ll schedule a convenient time to assess your roof and give you a free estimate. Call Today For a Free Repair Estimate.